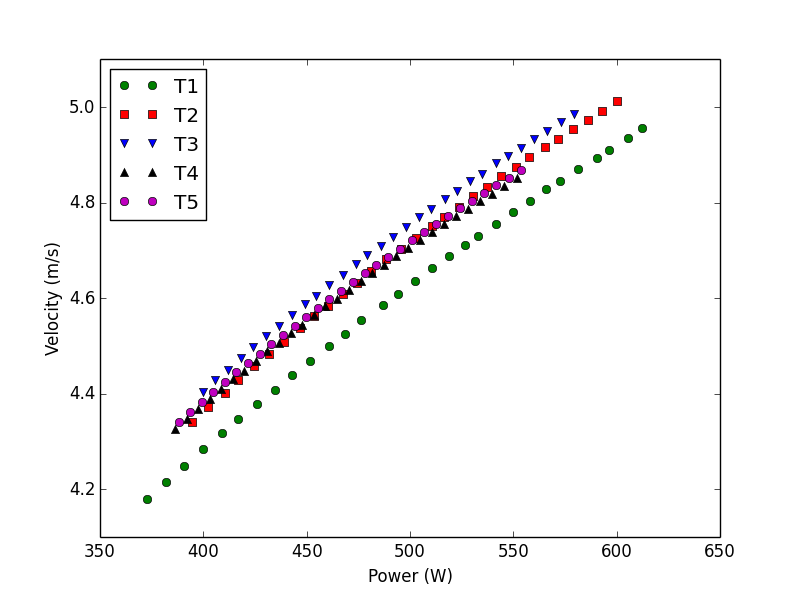 So T3 is better than T2, T4 and T5 which are roughly equal, and all are better than T1. 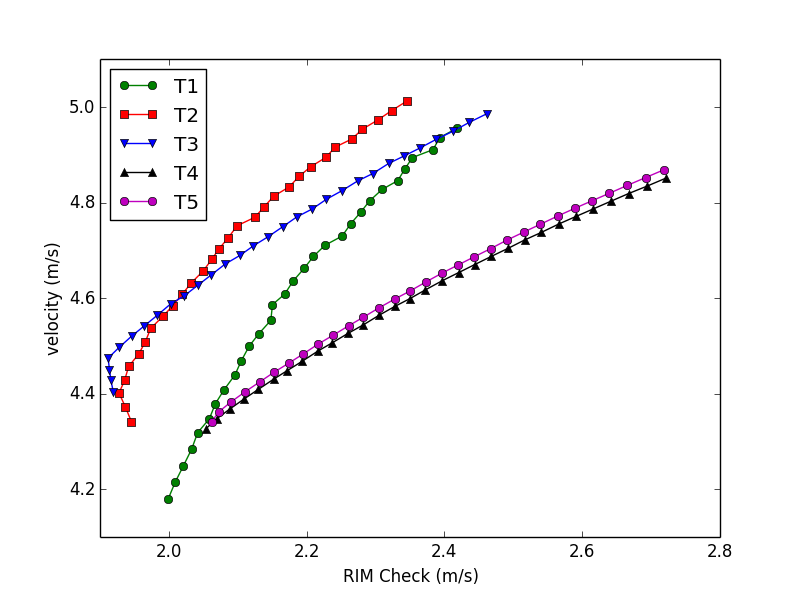 Again, we have to remember that these values depend on the catch angle and I need to rerun the simulation for a different catch angle, which I took at 63 degrees for this simulation. In conclusion, for this setting, CrewNerd Check factor would give the right feedback. If you would be able to reduce check at constant speed, you are probably moving to a more economic stroke profile. 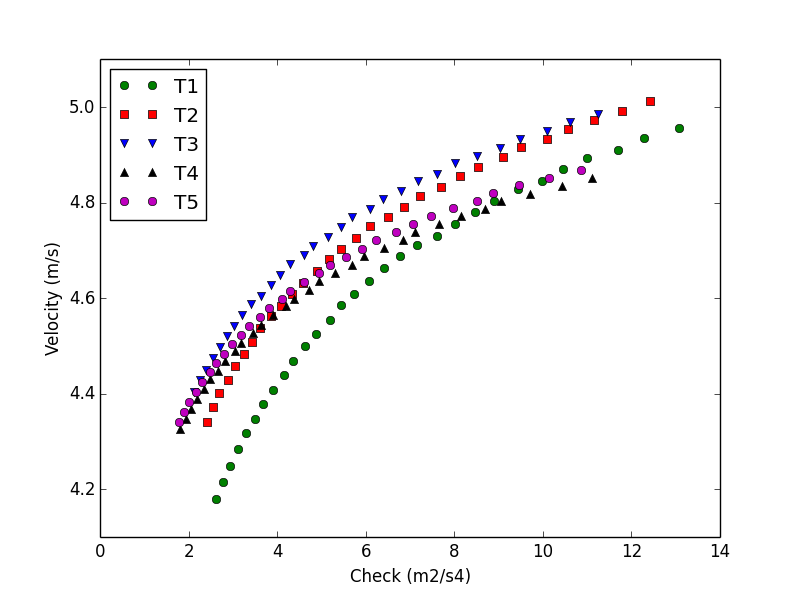 I guess the simulation is not entirely realistic here around the catch (between 0 and 0.15 seconds in the graph). Such a profile is not realistic in a real boat. Here, a higher value is better. So we have T1>T5>T4=T2>T3. This looks like the exact opposite of what we should get. This parameter depends a lot on the value of the minimum velocity. 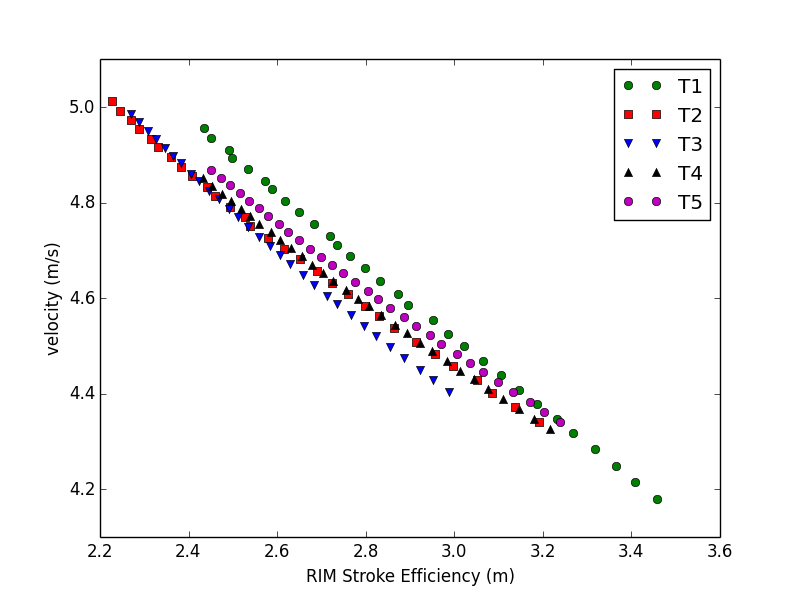 For the stroke profiles I have chosen that minimum velocity is determined really by the force around and immediately after the catch. 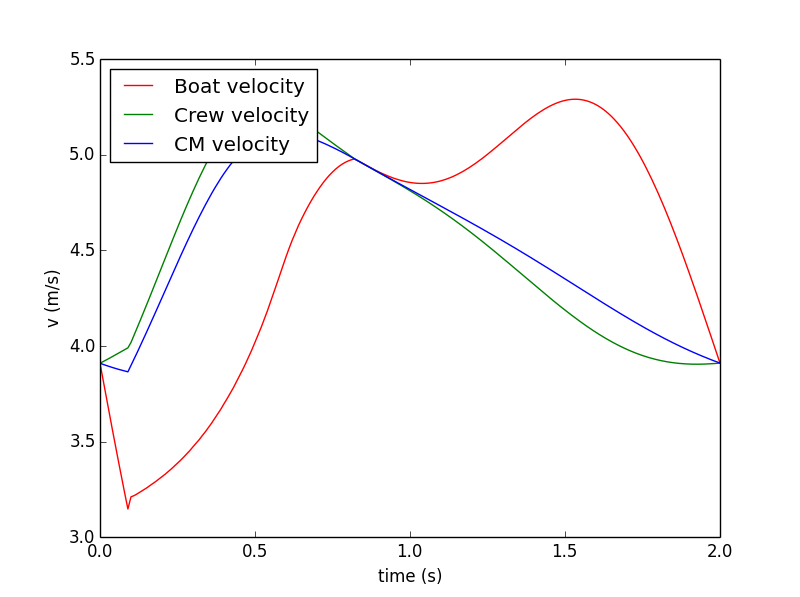 By “checking” the boat (meaning pushing hard on the footstretcher around the catch) we are making this a low value, which helps the parameter, which is a double integral of boat acceleration, so quite sensitive to calibration accuracies in the RIM app. So it seems it will be better to look at RIM Check or CrewNerd check for live technique feedback in the boat. 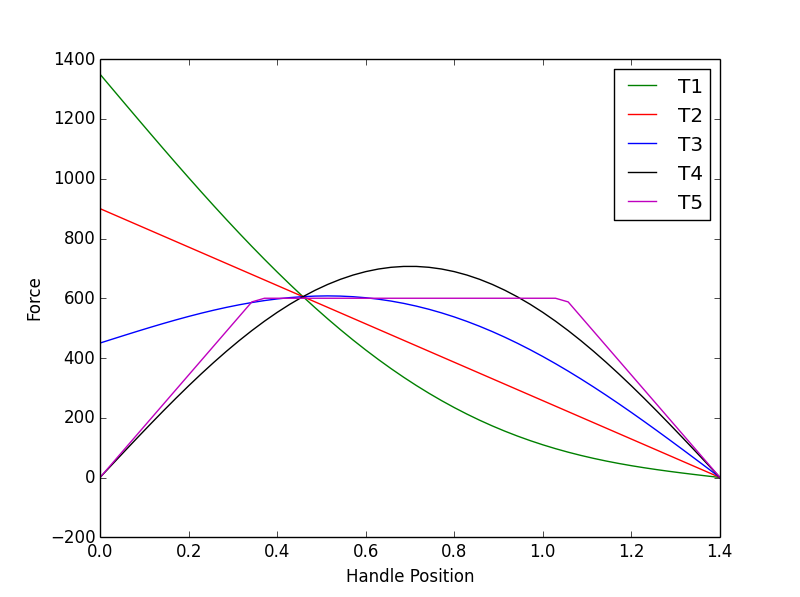 Next, I am going to rerun the simulations looking at catch angle. This entry was posted in Uncategorized and tagged crewnerd, rowing in motion, rowing physics on April 22, 2015 by sanderroosendaal.